Criminal history of the defendant. Also, both under Federal law (U.S. Sentencing Guidelines) and under Florida State law (Sentencing Guidelines or Punishment Code) the criminal history of the defendant is an important factor in determining a Defendant’s sentence. Further there may be enhanced penalties if one qualifies as Violent career offender or Habitual offender. Further in Drug Trafficking cases there may be an upward or downward departures in ones sentence (Aggravating or Mitigating circumstances) if one plays a Major or Minor role in the criminal enterprise. Also keep in mind that one does not have to be caught selling drugs to be charged with drug trafficking, it can be presumed based upon the weight of drugs that is in his actual or constructive possession. Further one can also be charged with Possession with intent to sell. Further there are other enhanced penalties for possession of drugs near a school or jail. Also one may have his Driver’s License suspended for two years for conviction of a drug crime. Further there are other criminal drug offenses for the Unauthorized Possession of Lawful drugs without a prescription; most common are Oxycontin, Xanax and Vicodin. It is unlawful for any person to be in actual or constructive possession of a controlled substance (Drugs) unless the drug was lawfully obtained by from a practitioner (Doctor) and pharmacist pursuant to a valid prescription. The prescription defense is not limited to the person holding a valid prescription, but may also be asserted by any individual authorized by the prescription holder to hold the medication on his or her behalf. This extension of the law allows a pharmacist to dispense prescriptions to a patient’s agent. Imagine if one goes to the drug store to pick-up a prescription for an elderly parent and gets stopped by the police for speeding and somehow (probably illegally) the cop searches your car and finds your mother’s pain medication (Oxycodone). Then the over-zealous cop arrests you for trafficking, where you are facing mandatory minimum time in prison. The law was not intended to make drug trafficking a situation of “hot potato” with the potential to turn an innocent possessor into a drug trafficker. Other Drug crimes include, Cultivation of Marijuana (Grow House), Drug Manufacturing, Driving under the Influence of Drugs. It is not illegal to carry a prescription drug outside of the prescription bottle. It is not unusual for a traveler with a valid prescription to separate a pill from a prescription bottle for later consumption. Possession of a lone pill does not give the police probable cause to arrest you. State of Florida v. Deaton, 109 So. 3d 338 (4DCA 2013). 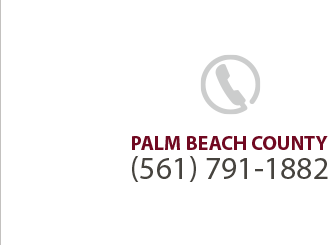 Call Palm Beach Drug Defense attorney Steven M. Logan at (561) 791-1882 to discuss your case and your defense. Serving West Palm Beach, Ft. Lauderdale, Ft. Pierce, Stuart and Glades County.